When the feet of Roman knight Isodorus was cured after the fall from his chariot, he decided to build a temple in honor of the god Isis. 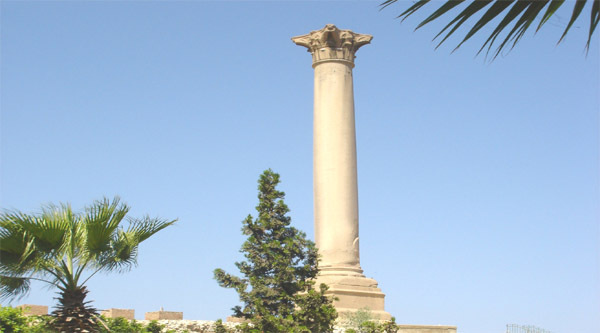 This temple was build at the 1st or 2nd century and it's the only private temple of Alexandria. It was situated at the Ras al-Soda area and later it was transported to Bab al-Shark. Temple itself consists of a platform to which you can come taking some stairs. 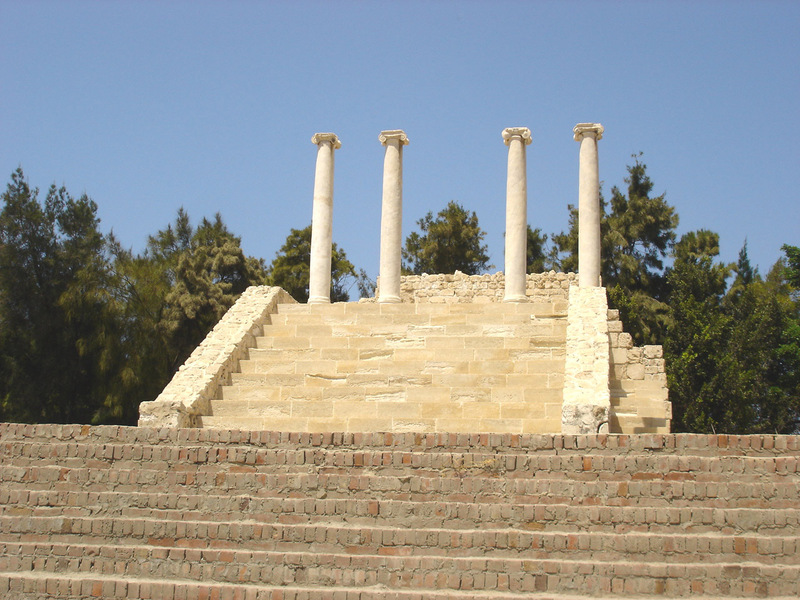 There are 4 Aionic columns at the corners of the temple. And in the center of the platform there is a votive feet made of marble. There are 5 statues at the back side of the platform. The 1st one is the statue of Herpocrat, 2nd – Herma Anubis, 3rd –Isis, the biggest one from all of them, that's why it's possible to assume that the temple is dedicated to the goddess Isis, the 4th and 5th statues are the god Osiris in canopic form. On one side of the platform the stairs lead down where we find two rooms behind each other. The 2nd room is higher and has something like mastabas on its 3 sides. The exact function of the room and these mastabas is unknown but we can assume that the room was used by priests of the temple.